You want to book a magician for your wedding? When you are reading this, you are probably already deeply engaged into the planning of your wedding or the wedding of a friend or family member. The wedding should be full of joy and fun for you and your guests. However, keeping everybody entertained can become an exhausting task and obviously you want to enjoy some peaceful moments with your partner as well. Here a wedding magician could be helpful. I could mingle between your guests and amaze them with my magic, while you can rest a moment, knowing your guests are taken care of. No special preparations are necessary. I got everything I need with me and am ready to start, whenever you want. Before walking to the next group of guests, I will make sure to leave mysterious gifts behind. Your guests can bond together and try to solve them. They do even have a good reason to contact other guests, which they might not know yet, since my gifts differ from group to group. Joy, surprise and amazement are brillant motives for your wedding photographers. And when the bride and groom create a magic memory with my help, everybody will enjoy that beautiful moment. Of course noone will be pressured into a situation he or she is uncomfortable with. If you decide to book me as your wedding magician I promise you to do everything I can, to take the heat of you and support you in entertaining your guests. Every wedding is different and I am looking forward to hearing your plans and to see how I fit in. 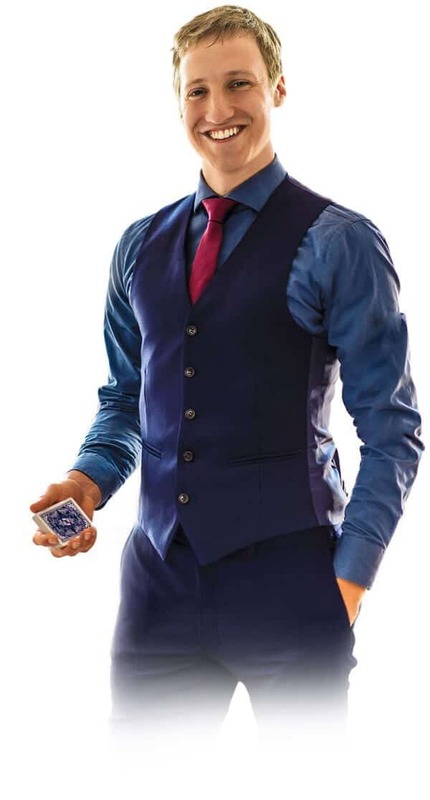 If the idea of hiring a wedding magician sounds appealing to you, you should contact me right away, and I will answer all the questions you still have.